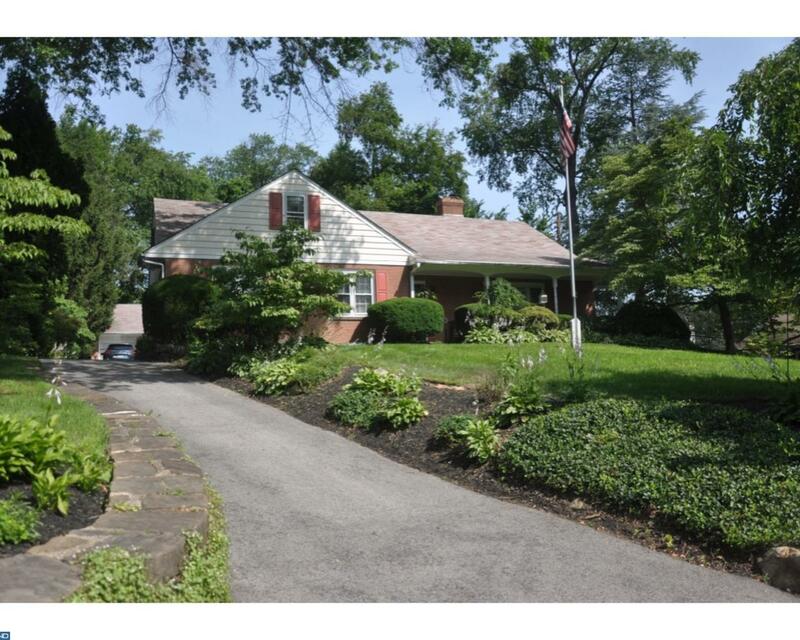 612 Rowland Avenue Cheltenham, PA. | MLS# 1000460877 | Roy L. Hollinger | Cheltenham Homes for Sale | Barandon And Hollinger Real Estate, LTD. Treat yourself to this beautiful all brick colonial style expansive rancher complimented by your own two car detached garage and gardens full of flowers and fauna. You can gaze at these lovely grounds from your own glass enclosed family room. Let the sunshine in! This is a true cape cod with 3 bedrooms on the first floor and a large 4th bedroom space above, everything in excellent condition. Let loose the chef in you with this wonderful custom built gourmet kitchen loaded with all the latest features. The charm of this home is the custom built shelving, wainscoting and cabinetry, all with a New England look. Enjoy summer evenings on your slate front porch, or take a stroll thru desirable Rowland Park, up to the train station, or over to the park, ideally near everything! Wood burning insert in the living room fireplace adds warmth and Holiday glow. How about having abundant storage in a clean enormous basement and large walk up attic to hold any treasures you wish to keep. A great place to hang your heart.